Winterizing Your Real-estate Business #4. Thanks for coming back to my series on, “Winterizing your real estate Business”. As you remember from our last blog, I blogged about holding 2 opens a week. Today we’re going Winterize by focusing on Expired Listings. I’ve found a common pattern or strategy in the mindset of a seller is they seem to list around the Holidays. What I mean to say is, that a greater percentage of sellers will purposely have their listing contract expire around the holidays. Their thought is that if their home doesn’t sell before the holidays, they’ll just simply take it off the market and try again in the spring or hirer someone different to get the job done. Now of course people, who have to move, will still have the motivation to get their home sold and will need to relist. However, what’s on their mind is, should I relist with the agent who didn’t get the job done the first time or should I look for a fresh approach? If you’ve been in the business for any amount of time, you’ll know the reason the home didn’t sell is most likely price. Actually, not most likely, it is price. You coming in as the pinch hitter or second choice gives you the opportunity to price the home properly this time. You’ll get it listed with less pricing objections. If you focus on the expired listing, in your winterization strategy, you’ll find some great opportunities. Here’s what I’ve done that’s worked well for me. Develop a Great Expired Packet – You want to make an expired packet eye catching but very generic. I kept about twenty in my car at all times. That way I could drop of several on my way to the office. The cover of my bound packet said in big letters “Do You Know Your Home May be currently off the Market”? The reason I did this is that some agents don’t keep up with their listings like they should and one will expire without their knowledge. Bad news for the seller but good news for you when you bring it to the seller’s attention. This usually leads to an appointment. The content of the packet should be information about you and also your value proposition for sellers. Testimonials are great here too! CAUTION: Too much information might have a negative effect. The seller could make conclusions about your marketing and services without meeting you. CLOSE TO AN APPOINTMENT! Set my MLS to Search for New Expired Listings Daily – Three things I did every morning. Got up early, had my coffee and checked for expired listings. I always wanted to get the jump on anyone else. I pulled them up, searched the address on the MLS to make sure they had not been relisted, plan a route to drop off packets and got phone numbers if I could. Too Easy! Drop Off Expired Packets Daily – I basically door knocked and dropped off packets in the morning. You’d be surprised at how many people are at home in the morning. I found putting a packet in their hand and asking for an appointment gave me a higher conversation rate than just a phone call. If they were not at home, I would leave the packet and follow up with a phone call or another pop by. HINT: Roll the packet up and put it in the handle of their garage door. People rarely go in through their front door anymore. Follow Up With a Phone Call: Always follow up with a call to make sure they got the packet. There are companies that phone lists for expired listings. I guess the key is you’re on the clock. You have to get to them quickly so don’t waste a lot of time. These are some key elements I used to stay in front of sellers whose listing agreement had expired with their former agent. Remember that good memorized scripts and dialogues for expireds are a must. So take this opportunity to make expired listings one of your tools to winterize your real estate business. Thanks for coming back to my blog series on winterizing your real estate business. Today’s blog is strategy number three, hold two opens per week. Now of course were talking about two open houses per week. Typically we’ll see agents hold two open houses per month. Remember we’re going to, at least, double our efforts. Holding two open houses per week certainly does that. It’s not surprising that holding homes open is quite prosperous and a successful way to lead generate. To increase our open house results, we need to increase our frequency in holding open houses. My recommendation is that you hold a minimum of two per week. Consistency is the key here. Make a conscious effort to commit, plan, strategize and implement, which leads to holding two open houses each and every week until spring. I want to make you aware of three myths surrounding open houses. Myth Number 1: You can only hold homes open on the weekends. Myth Number 2: You can only hold one open house per day. Myth Number 3: Buyers are the only ones that attend open houses. Let’s start with Myth Number 1: “You can only hold homes open on the weekend”. The question that I would ask is, “do you think you would be positioned better to get more traffic from an open house if there were more homes being held open in a day or less homes being held open? The answer of course is you would get more traffic if there were less competition from other homes being held open. That’s why an open house during the week is very strategic to get you more traffic. Also, you will find people are available and will attend open houses that are held during the week. In Northern Virginia there are several large companies that allow their employees to work from home on Mondays and/or Fridays to cut down on commuter traffic. These would be two great days to hold opens. Also, the military allows their newly transferred members 10 days of permissive TDY (temporary duty) to house hunt. Try a couple of opens during the week. Myth Number 2: “You can only hold one open house per day.” I’ve found that the majority of people attend open houses within the last 30 minutes of the home being held open. So if you hold a home open from 1 to 4 the majority of your attendees show up at 3:30. So why not hold one open from 1 to 2, take a short break, then hold a different home open from 3 to 4. Make sure you invite attendees from your first open house to your second. Wow, they can actually follow you over! This is a great way to rapport build and to ensure maximum traffic in both homes as well as make the best use of your time. The second open house may be a great place to have refreshments so you can spend more time with potential clients. Make sure you tell the folks from the first to show up at the second because you’re having refreshments. Finally Myth Number 3: “Buyers are the only ones that attend open houses.” This is just simply not always the case. It’s so important to learn your scripts and dialogs and ask the right questions as people walk through the door of your open house. I have found a good greeting to start off with may sound like this; “What brings you folks out today?” You may hear, “We just wanted to see the home” or you may hear, “We’re thinking about selling our home and we wanted to compare ours to this one”. Sometimes people are just looking for their friends and family. This provides you the opportunity to create another relationship and provides you with another database entry. Either way you have a future client. The important thing is that you ask questions, come from a point of curiosity and get that new contact in your database as well as help them in any way that you can. In closing, we talked about how important it is to hold two open houses per week to increase your business through the winter time. We’ve also talked about the three myths commonly surrounding open houses. Quick tip: Have your sellers really decorate for the holidays. Buyers can visualize themselves in a holiday home. Thanks again for following my blog and as always you have a great month today. 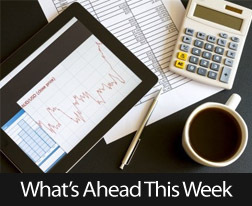 Last week’s scheduled economic news included the National Association of Home Builders Wells Fargo Housing Market Index, Housing Starts and Building Permits. The Fed’s Federal Open Market Committee (FOMC) issued its usual statement at the conclusion of its meeting, and Fed Chair Janet Yellen also gave a press conference. The U.S. Department of Labor released its Non-Farm Payrolls and National Unemployment Rate reports Friday showing 175,000 jobs were added in May, which surpassed expectations of 164,000 new jobs and April’s reading of 149,000 jobs added. The jobs added in May were largely from the private sector. However, the national unemployment rate for May was 7.60 percent, one-tenth of a percent higher than expectations and the April reading of 7.50 percent. The rise was attributed to more people entering the workforce as opposed to people losing jobs. 420,000 workers joined the workforce in May, which pushed the civilian participation rate in the labor market to 63.4 percent; the highest participation rate since October 2012. A rising participation rate suggests that more workers believe they can find jobs and have joined or returned to the labor market. Economists were pleased to see jobs increasing against an environment of higher taxes, a soft global economy and budget cutbacks in the U.S. government. A lingering issue for U.S. labor markets is the number of people looking for full time work, but who are unable to find full-time employment. When these workers are added to the ranks of the unemployed who are actively seeking work, the actual unemployment rate almost doubles to 13.8 percent for May. The national unemployment rate is based on workers who are actively seeking work. Many U.S. workers stopped looking for work after years of unemployment. These reports don’t provide a clear indication of what the Federal Reserve may do regarding its current monetary policy; the Fed is currently purchasing $85 billion a month in U.S. Treasury bonds and mortgage-backed securities (MBS). 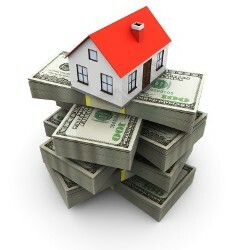 This effort is intended to keep long-term interest rates, including mortgage rates, lower. The Fed has indicated that it will review its quantitative easing (QE) policy relative to improvements in the economy. In recent months, the Federal Open Market Committee of the Federal Reserve (FOMC) has discussed lowering or eliminating its QE efforts, but so far is maintaining its current level of QE and maintaining the federal funds rate at 0.250 percent. While housing markets are improving, the jobs sector is moving at a slower pace. This suggests that home prices could rise even faster if more consumers had sufficient income for buying a home. Spring is almost here, and the National Association of Home Builders Housing Market Index (NAHB HMI) thawed slightly in March. The current reading of 47 is one point higher than for February, but still indicates pessimism among a majority of builders surveyed. Analysts expected a March reading of 50. The gauge of builder confidence stayed near its lowest level since May. March’s NAHB HMI reading remained below the benchmark reading of 50, which indicates that an equal number of builders are positive about housing market conditions as those who are negative. A reading over 50 indicates that more builders are positive than negative. Last August the NAHB HMI reading reached 58, its highest level since 2005. Kevin Kelly, NAHB’s chairman said that builder concerns included a lack of land available for development, the lagging effects of severe winter weather and labor shortages. The NAHB HMI national reading is based on builders’ views of three aspects of housing markets. The March reading of 47 is based on three components. 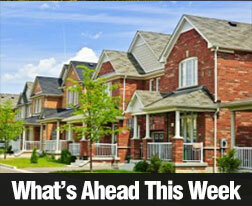 The reading for prospective buyer traffic in new home developments rose by two points to 33. Builder expectations for present sales of single-family homes rose from 51 to 52. Builder confidence in home sales in coming months fell from a reading of 54 to 53. Rising mortgage rates and home prices along with inconsistent labor markets influenced builder confidence concerning future home sales. Northeast: March’s reading was five points lower at 29. Midwest: Builder confidence gained three points in March for a reading of 52. West: Builder confidence dropped by five points to a reading of 53. South: March’s reading rose by two points to 48. In related news, the Department of Commerce reported housing starts for February dropped to 907,000 as compared to January’s reading of 909,000 housing starts and expectations of 908,000 housing starts. Building permits for February rose by 7.70 percent to their second highest level since the recession for a total of 1.02 million permits. The rise in building permits was attributed to construction plans for condominium complexes and rental units.